It has been reported that Jewish settlers fire-bombed A West-Bank house on a early Friday morning; Hebrew graffiti was found at the place reading, ‘revenge’ and ‘long live the Messiah’. 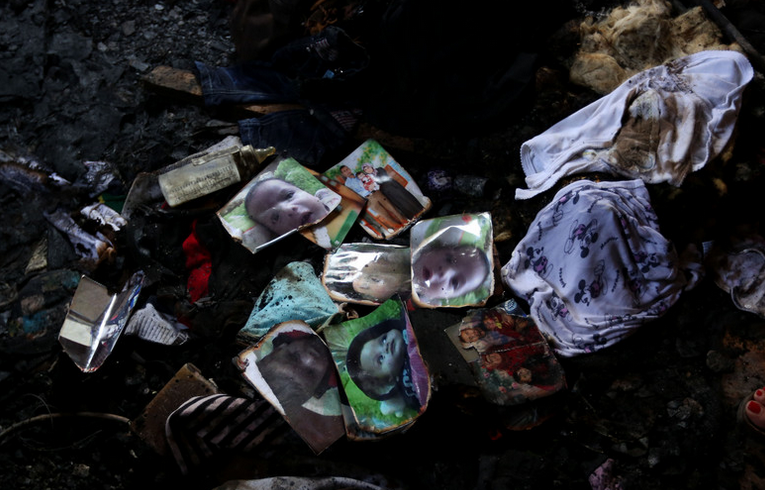 A one-and-a-half year-old Palestinian baby was burned to death and three of his family members were seriously injured on Friday morning after their house was set on fire on the West Bank Village of Douma. People who witnessed the incident said that two masked men arrived at two houses in the village. The perpetators sprayed grafiti reading ‘revenge’ and ‘long live the Messiah’ in Hebrew, and at the same time broke two windows of the homes in the village and threw two fire-bombs inside them.